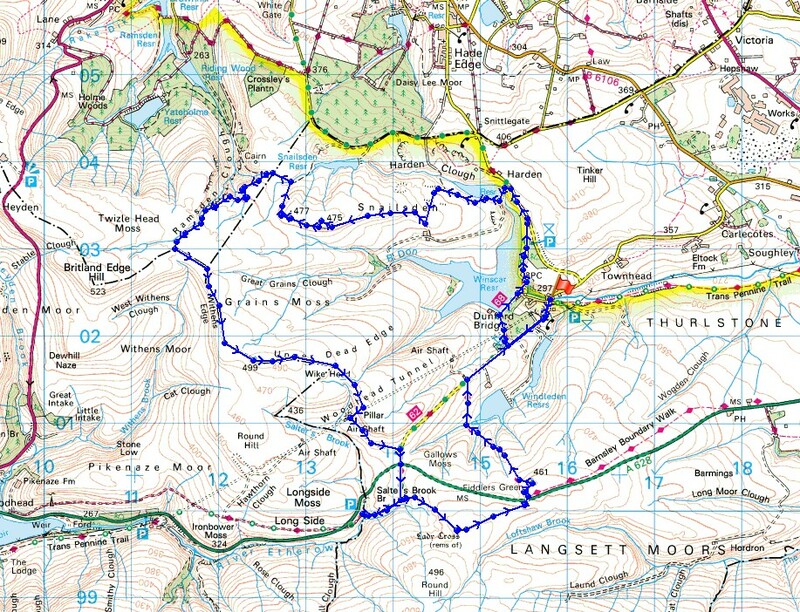 It was about time that I got round to doing this walk. 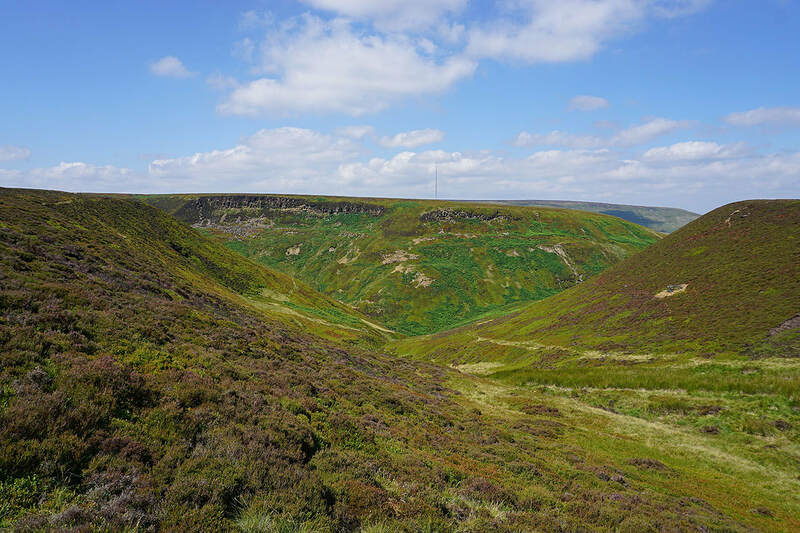 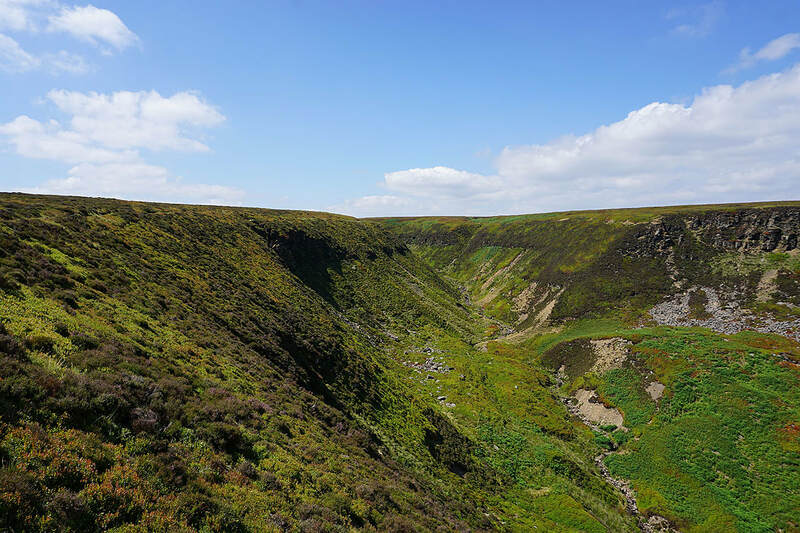 I've been meaning to visit Ramsden Clough and it had been on my "to do list" for some time, but I always seemed to find an excuse for going somewhere else and then I'd end up forgetting about it. 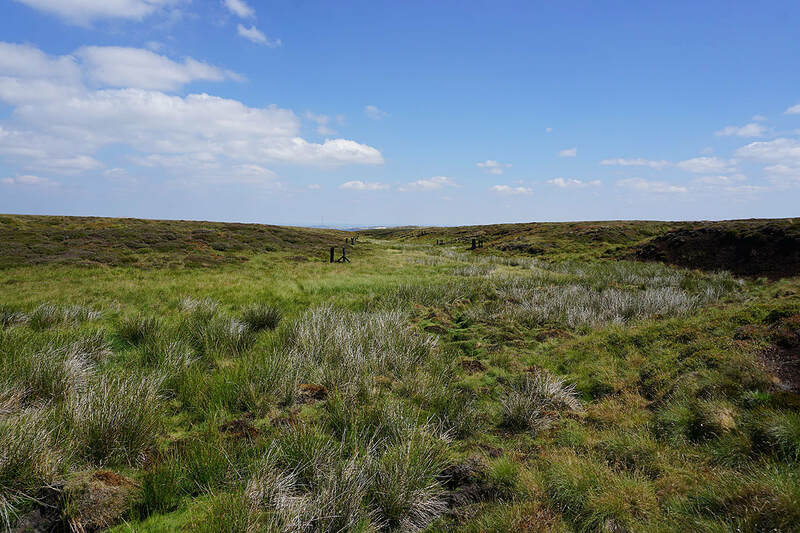 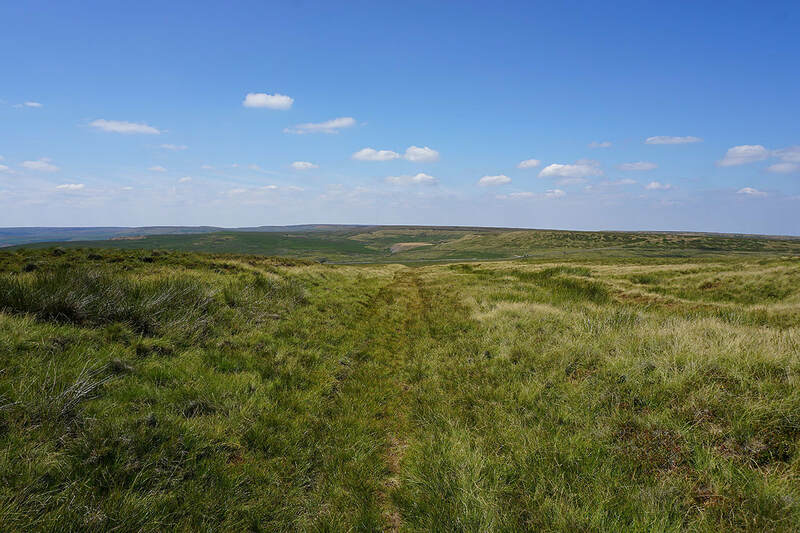 With the recent weather there are no excuses, it's been perfect for tackling this moorland walk. 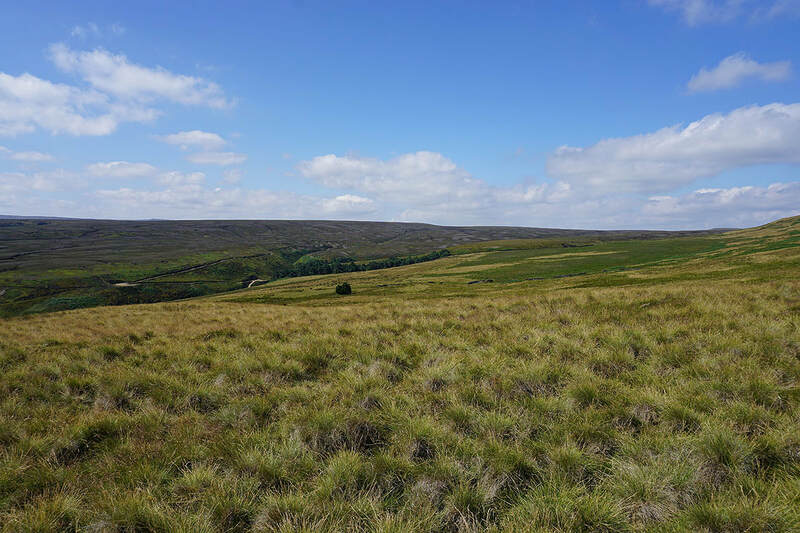 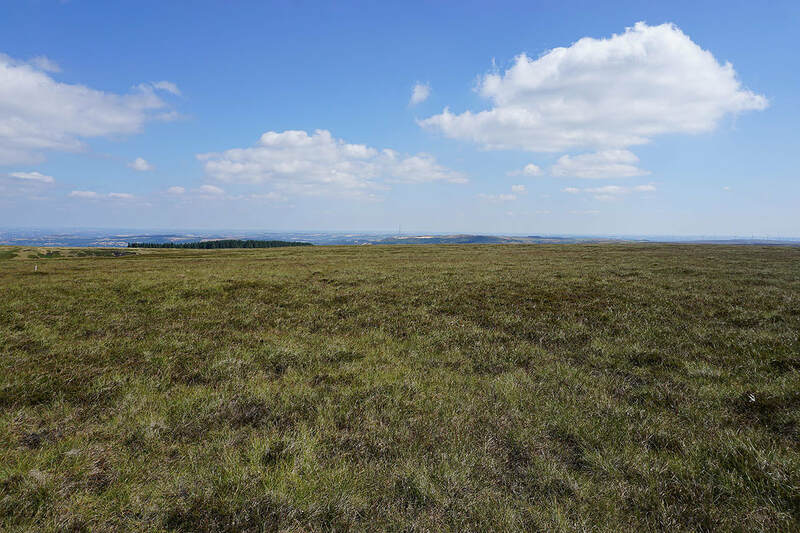 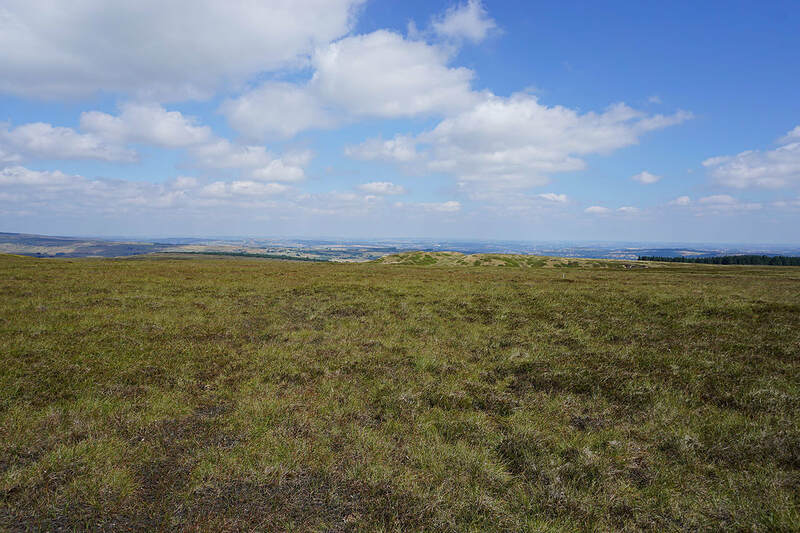 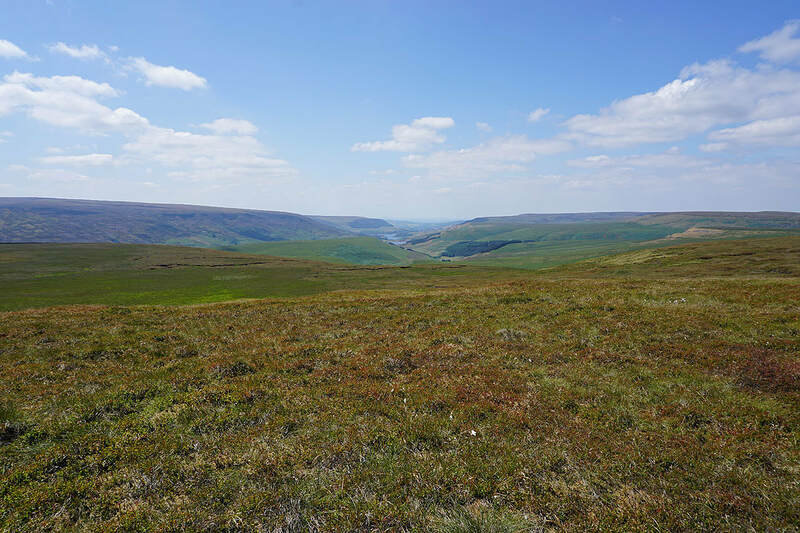 I had been concerned about just how wet underfoot the moorland ridge would be but it had been baked dry by all the hot and sunny weather. 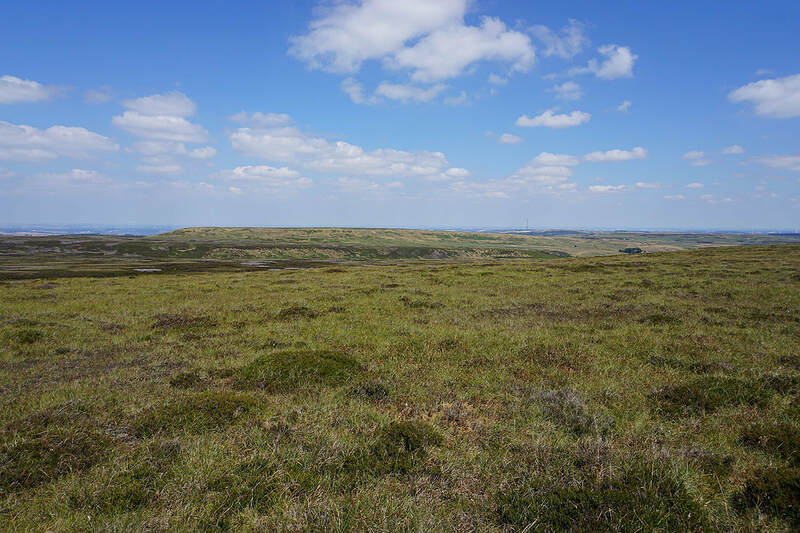 It was another beautiful summer's day for being out on the moors with lots of warm sunshine and a gentle breeze. 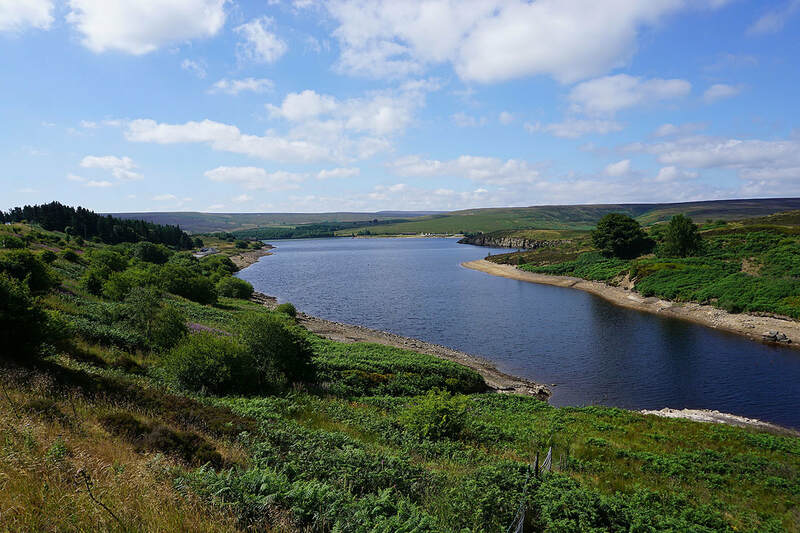 From the car park at Dunford Bridge I started by walking up the road to reach the access road to Winscar Reservoir, then across its dam, then north along its other access road and up the road to Harden. 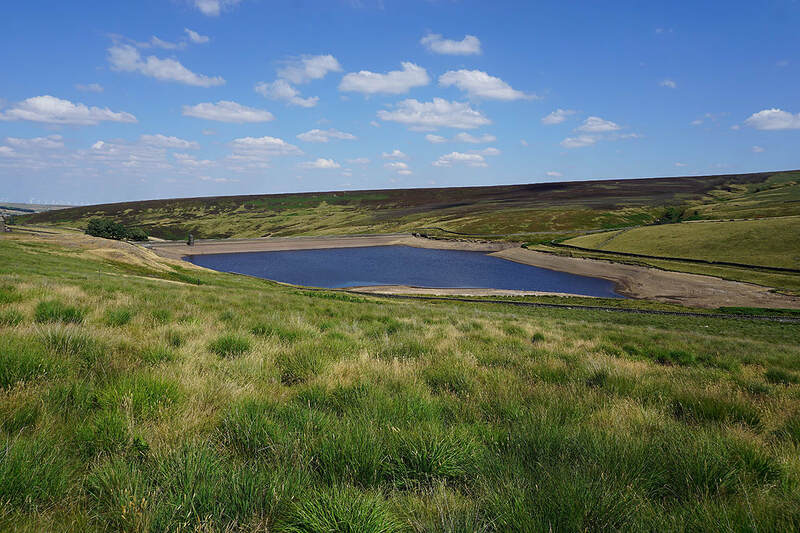 I then left the road to head down to the dam of Harden Reservoir. 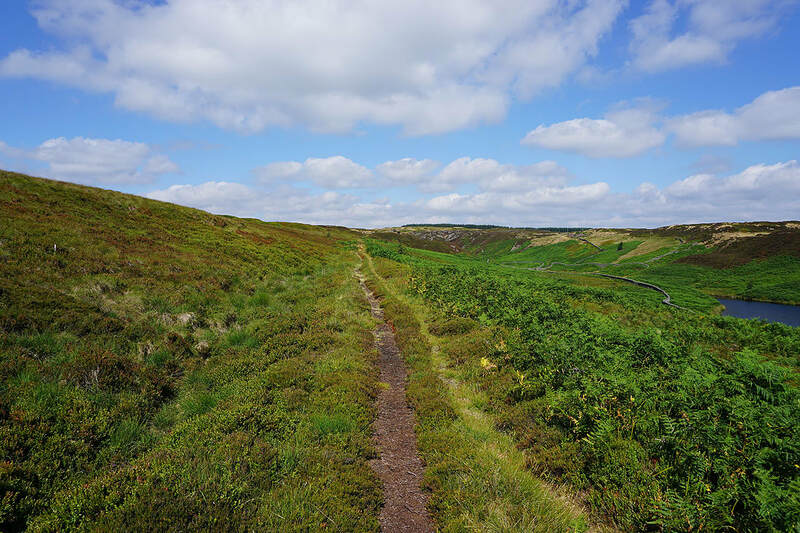 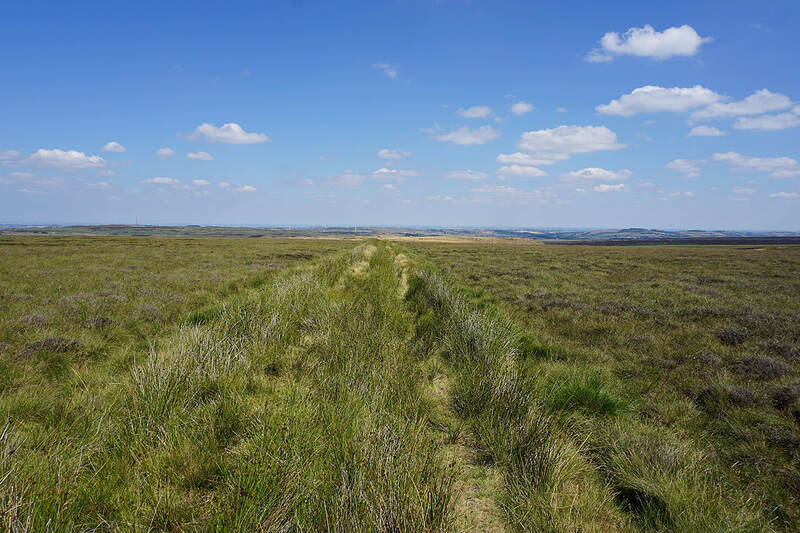 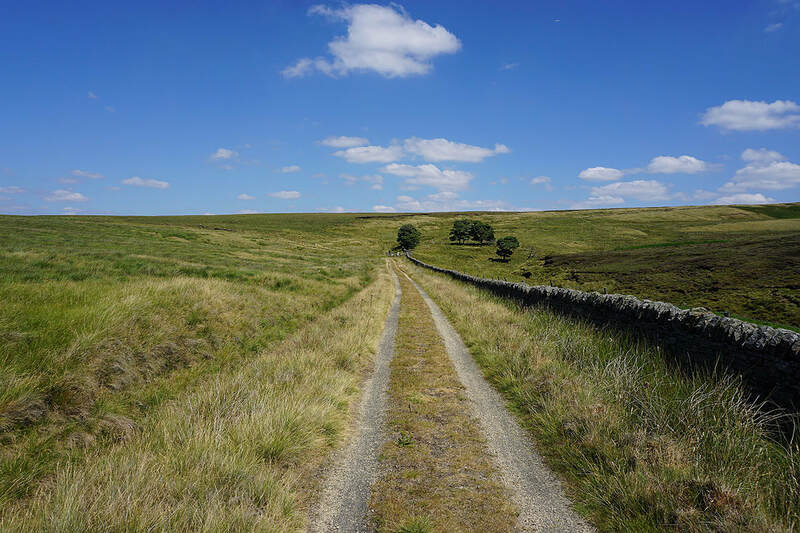 I followed the path west above the south shore of the reservoir and then south across Lower Snailsden Moss to a dry-stone wall where I picked up the path west along Snailsden Edge. 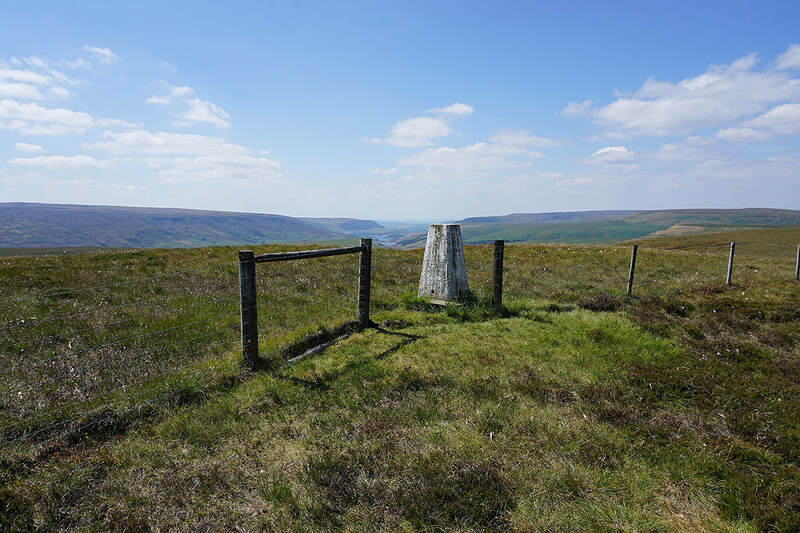 After doing a there and back to the trig point on Snailsden Pike the path turned north at Snailsden Pike End to reach the top of Ruddle Clough, and the path south along the top of Ramsden Clough. 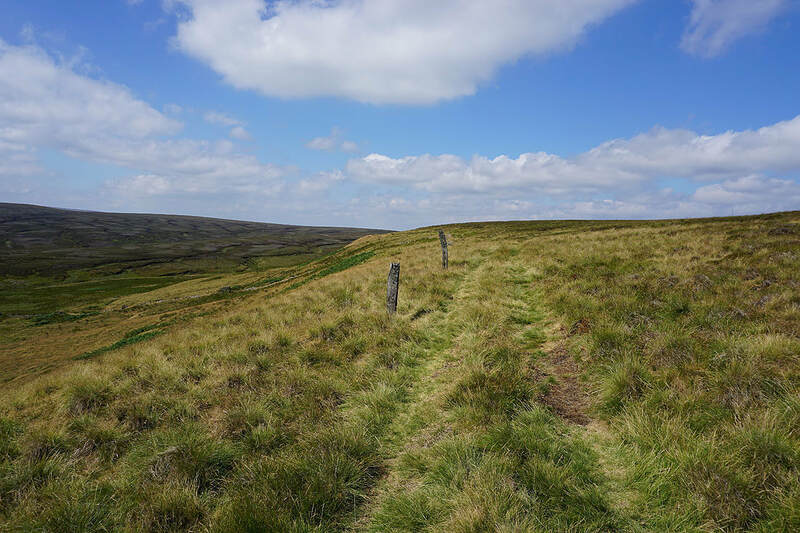 When the path goes to cross the brook by lines of grouse butts I left it to make my way up to the fence line to the south, which I then followed south and east to the trig point on Dead Edge End. 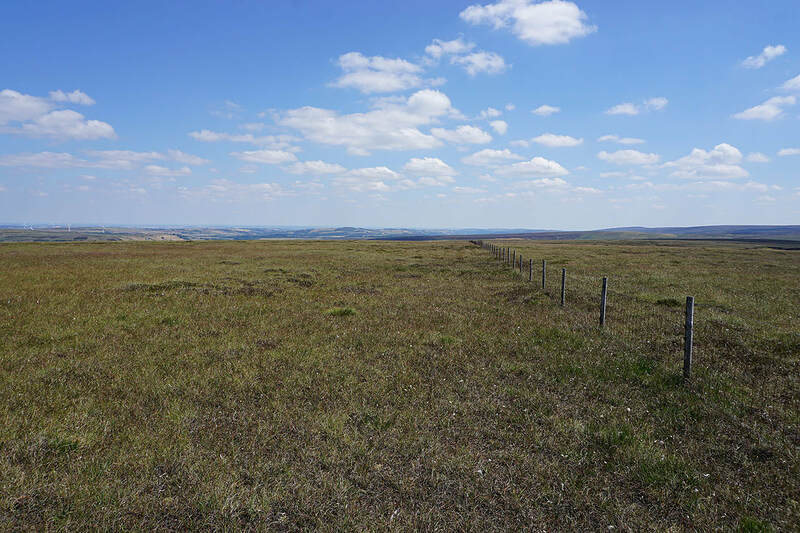 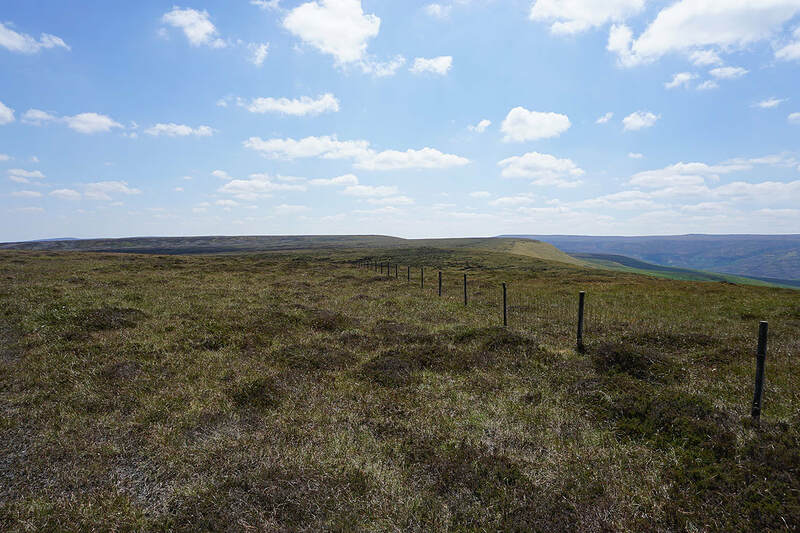 I continued east by the fence until it did a sharp right turn, I left it behind and crossed the moor aiming for a pillar to the southeast. 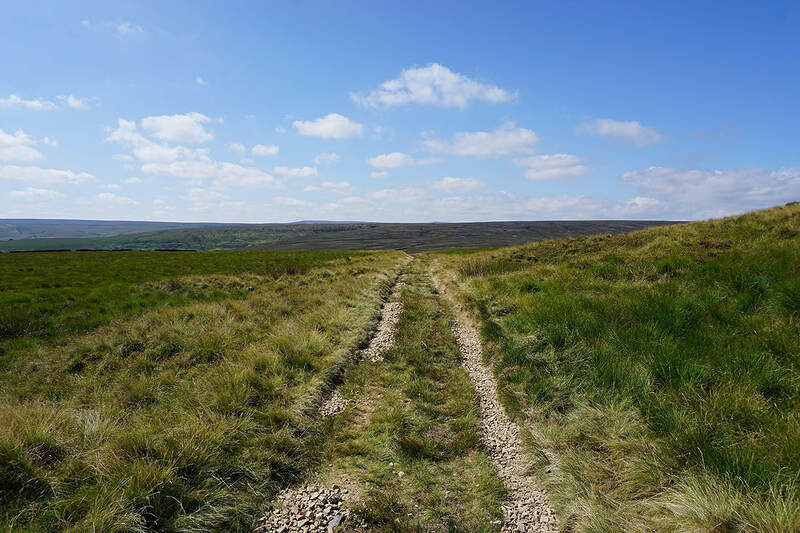 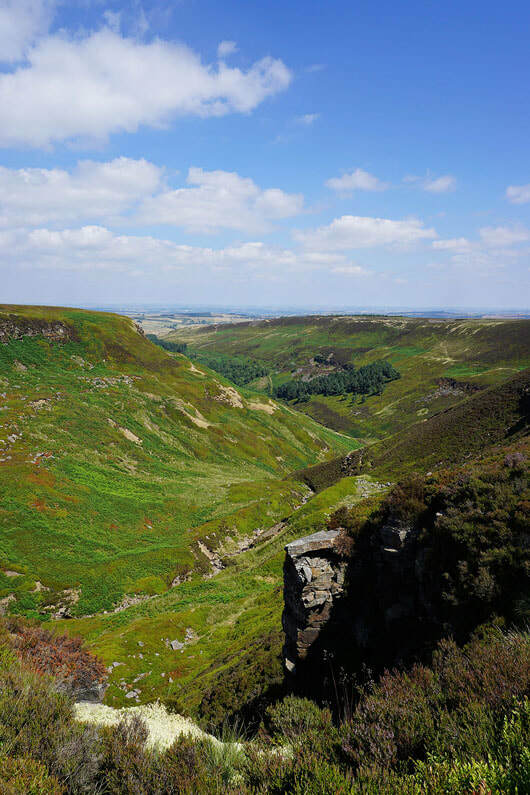 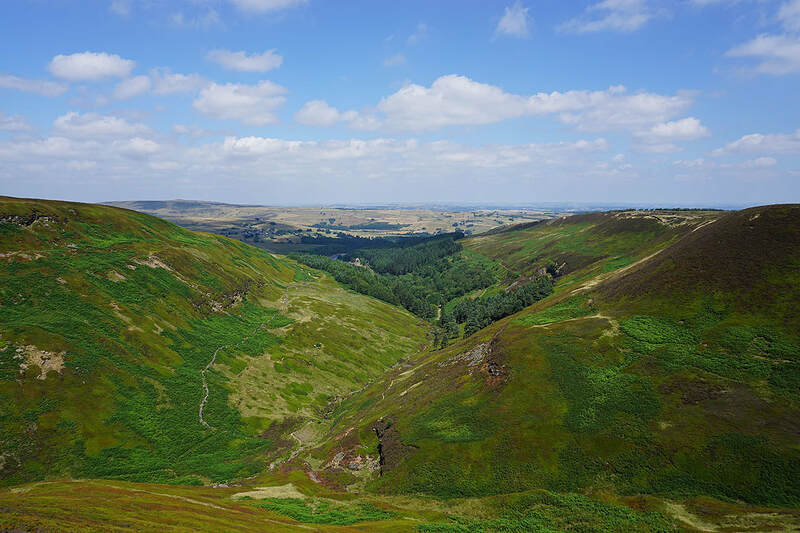 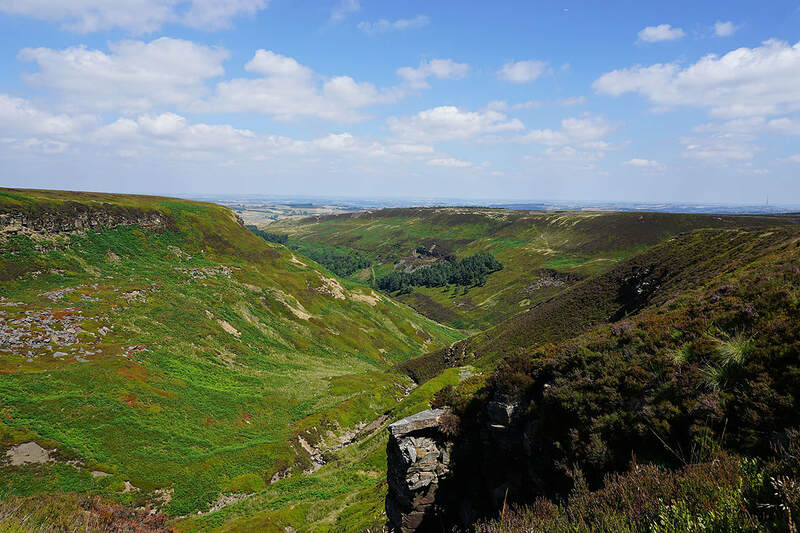 When I reached the pillar I picked up the track running along the line of the Woodhead Tunnels and followed it south down into the valley of Upper Head Dike and out to the road to Dunford Bridge and the A628. 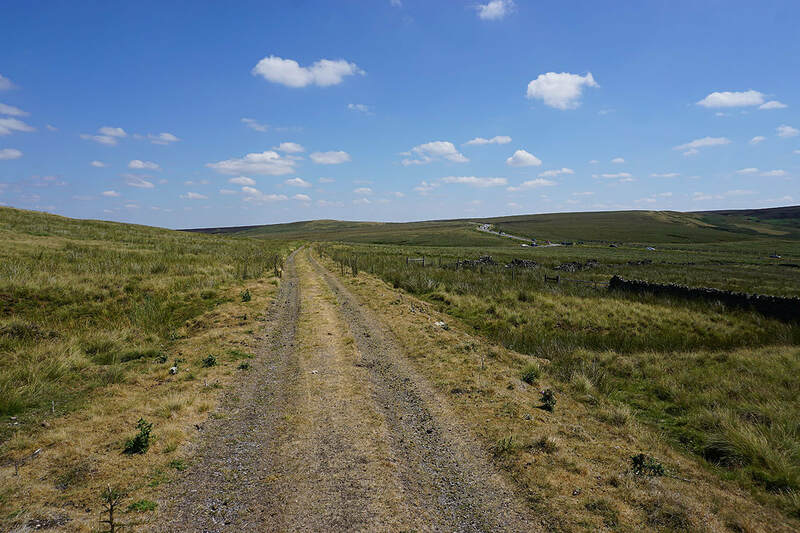 I crossed the A628 onto the Trans Pennine Trail. 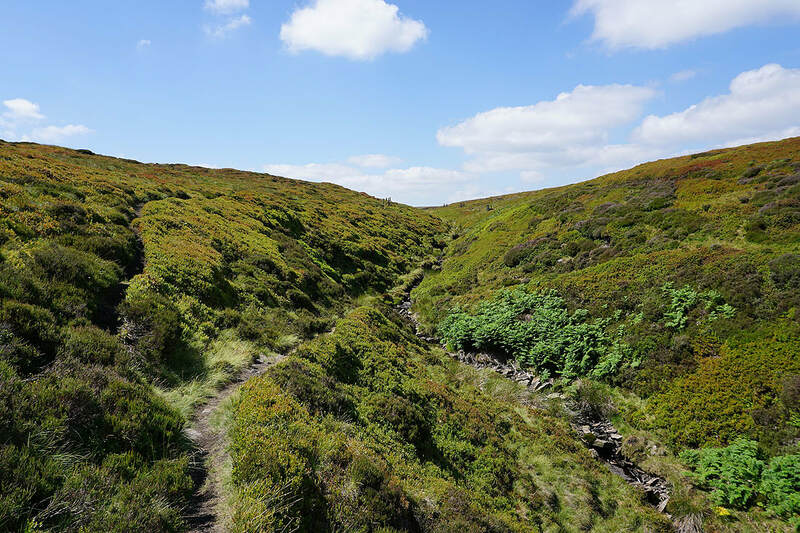 I followed this south and then west down to the packhorse bridge over Salter's Brook before retracing my steps back east and across the moor past Lady Cross to reach the A628, which I crossed again. 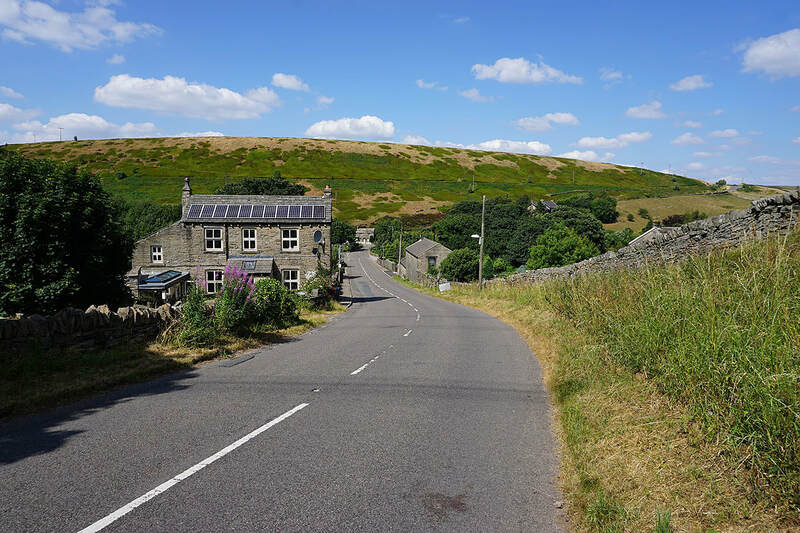 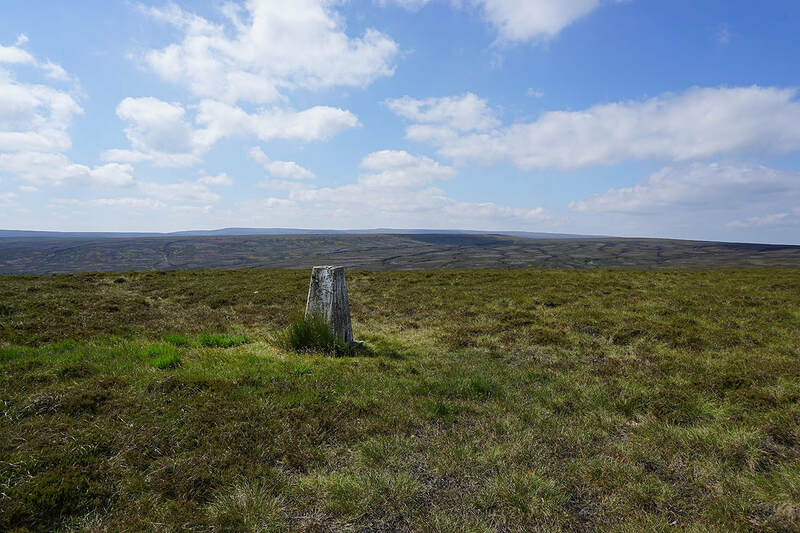 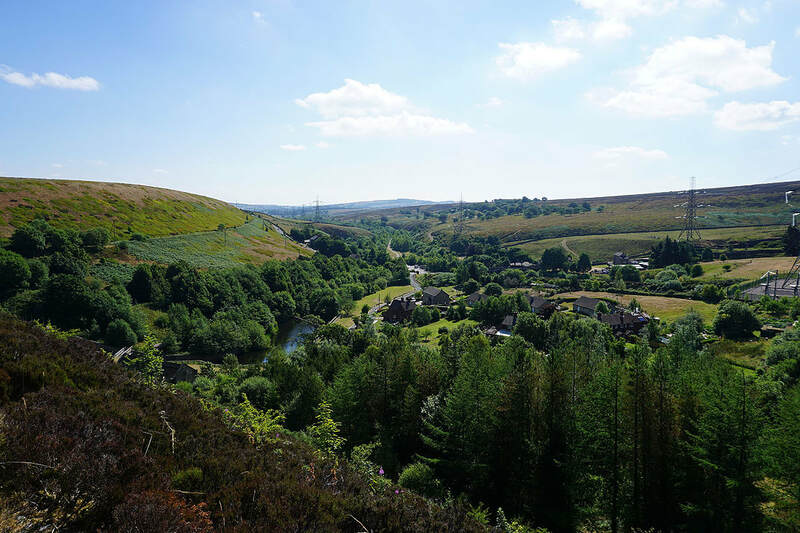 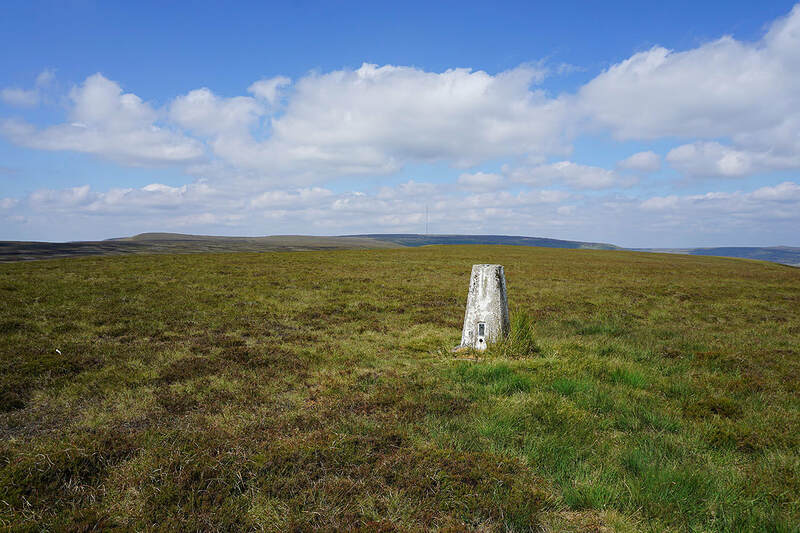 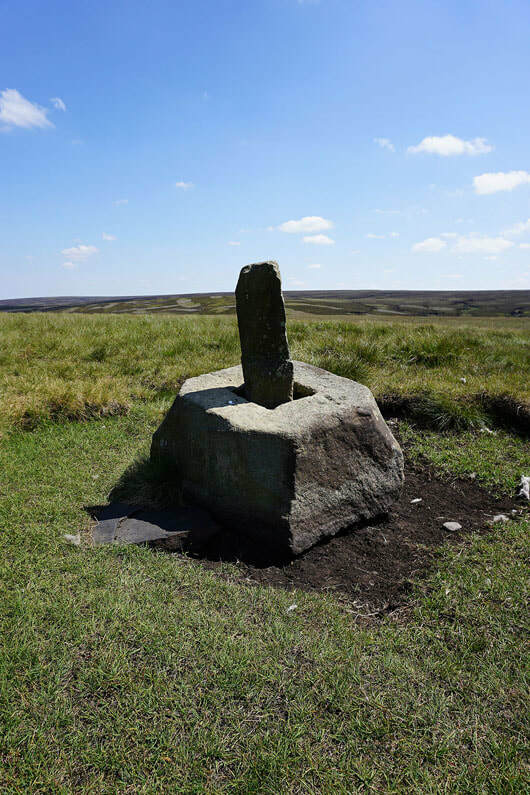 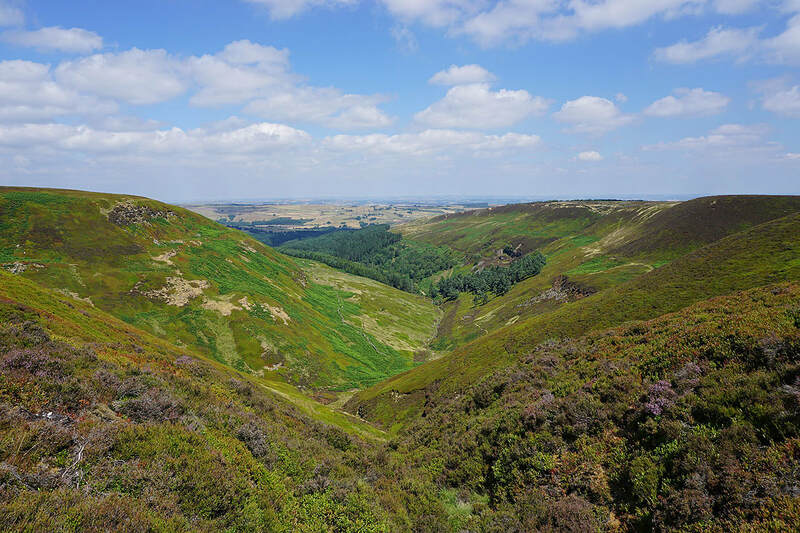 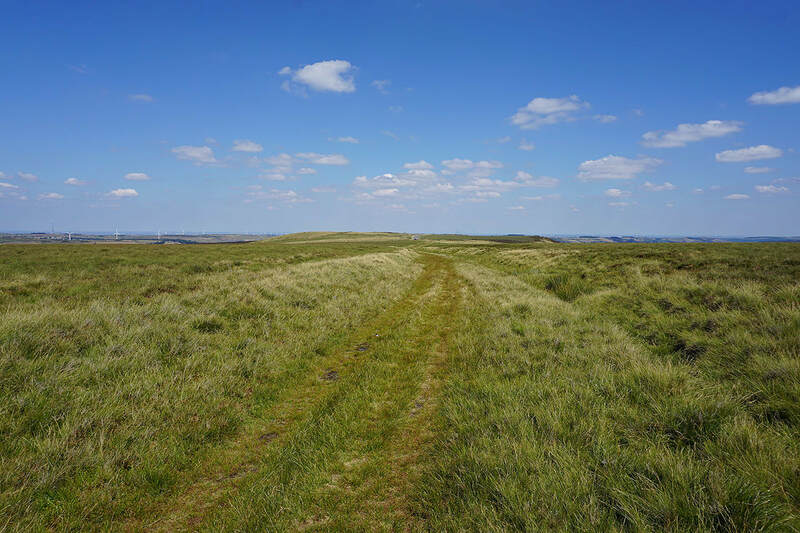 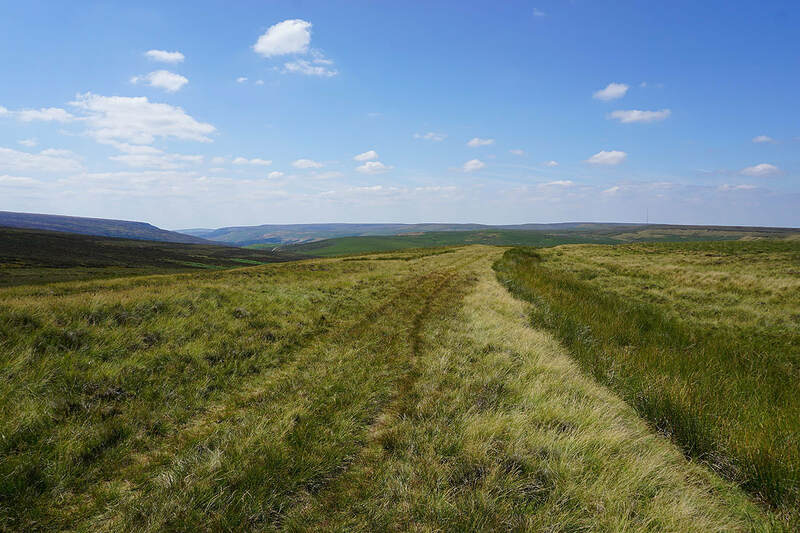 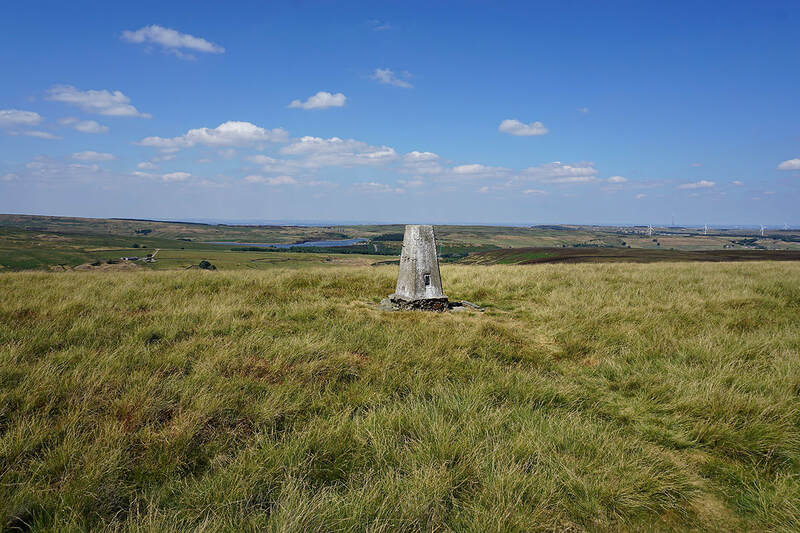 Once safely across I picked up the bridleway north (with a detour to the trig point on South Nab), down into Woodland Clough and up to the road on Windle Edge, where I was left with a walk down the road back to Dunford Bridge and the car park. 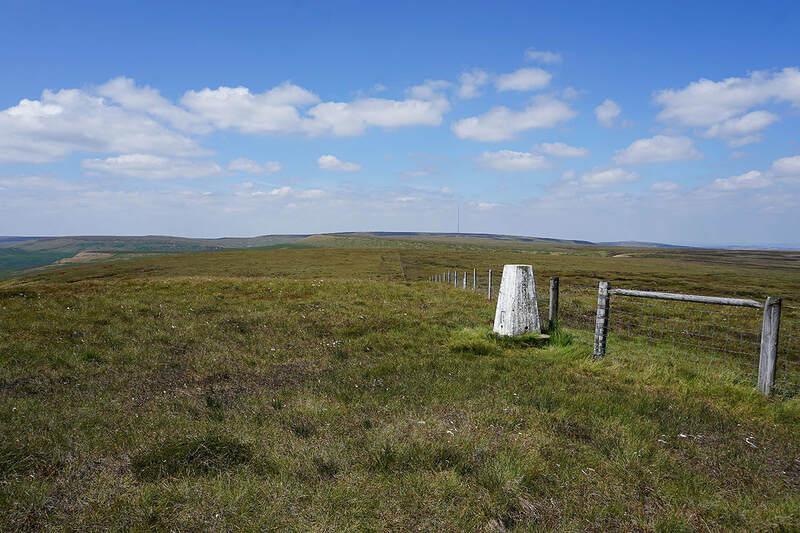 At the trig point on Snailsden Pike. 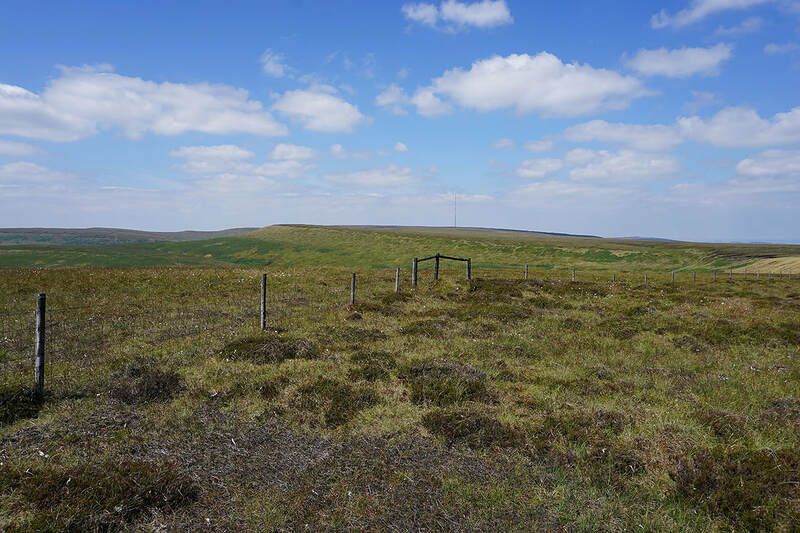 Looking south to Dead Edge End with the Howden Moors beyond. 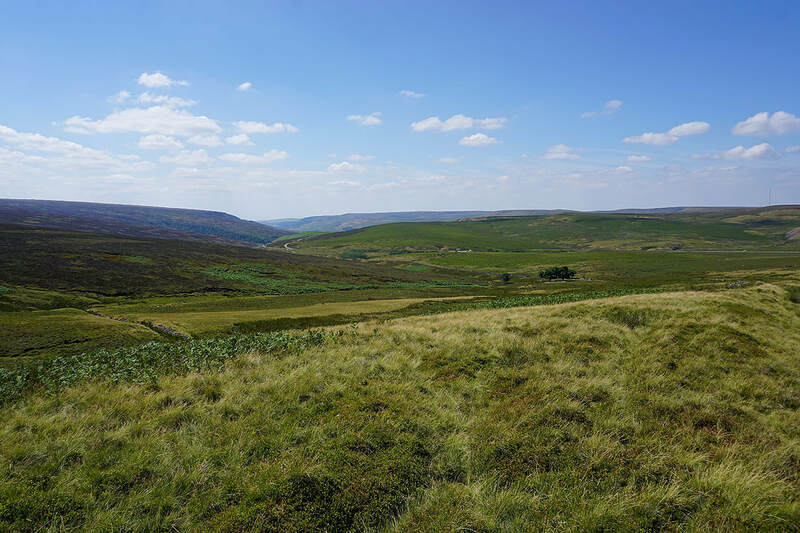 Looking north over the Holme Valley.. 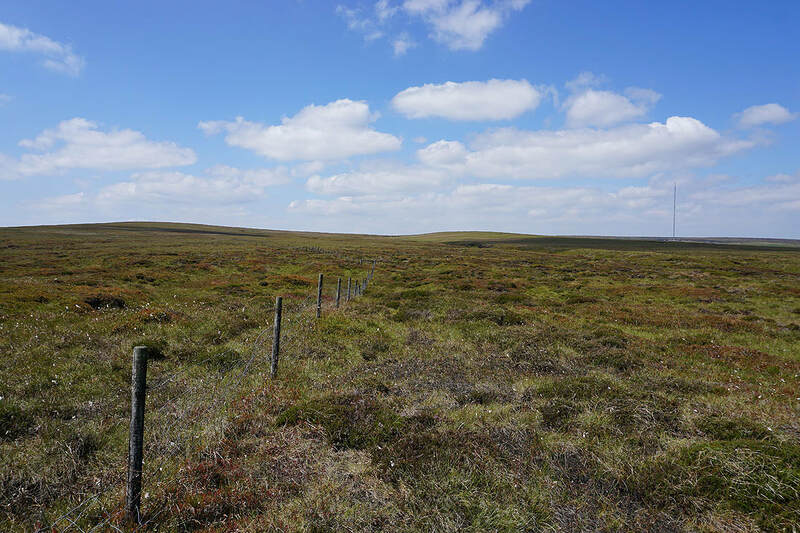 I've reached the fence line at the top of the moor. 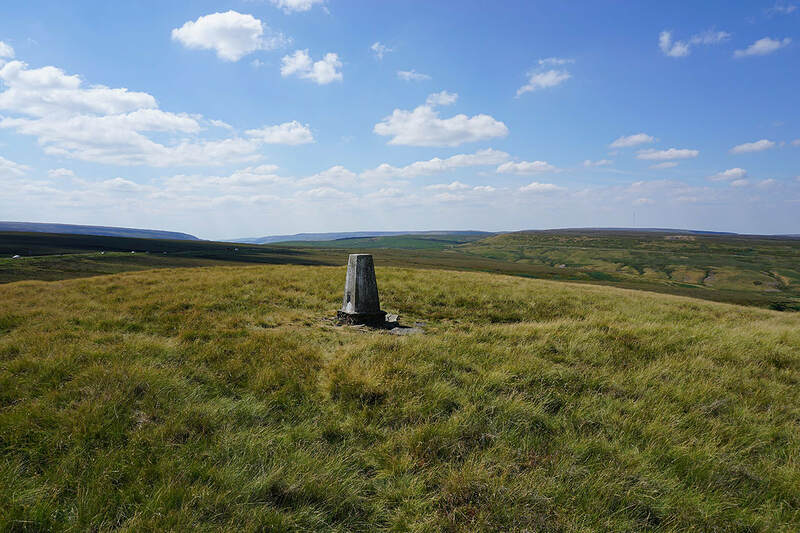 Looking west towards Britland Edge Hill. 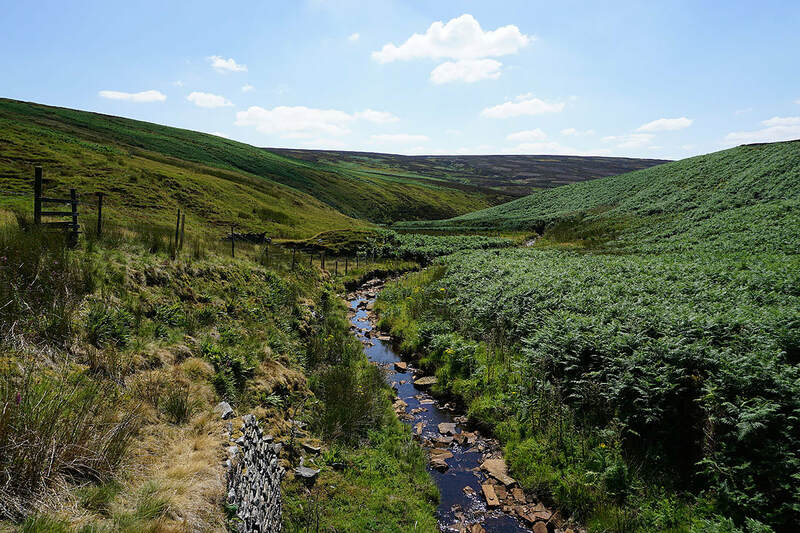 After crossing the A628 I followed the Trans Pennine Trail west for a little while to see the packhorse bridge over Salter's Brook. 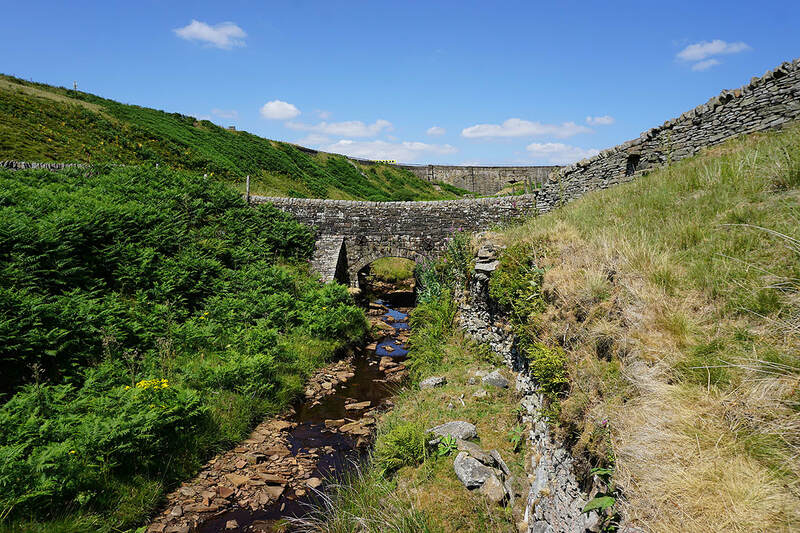 The modern road bridge is above. 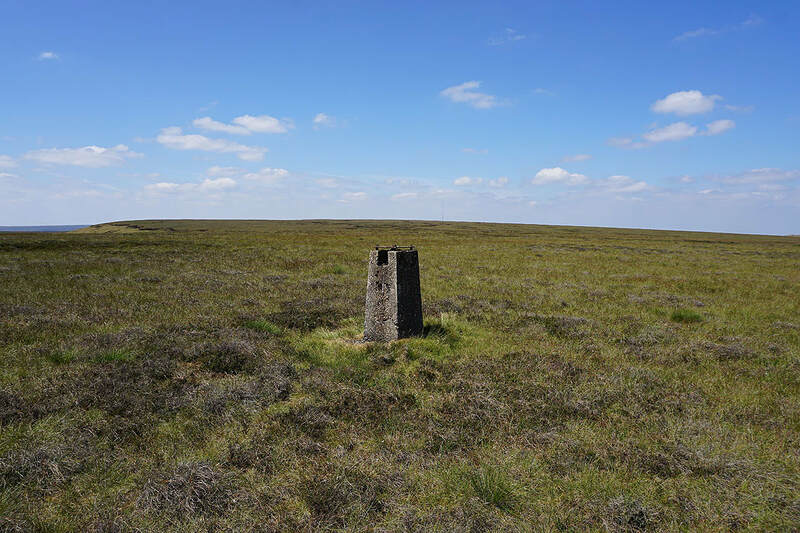 At the trig point on South Nab. 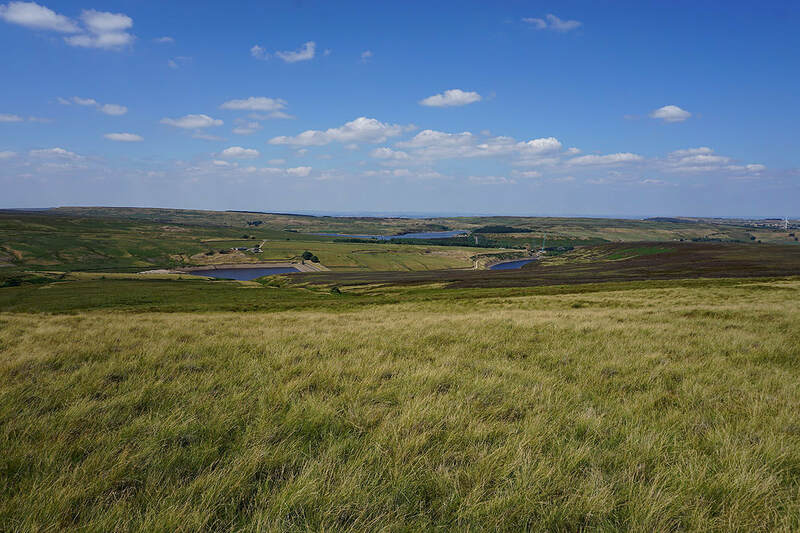 Looking north towards Winscar Reservoir. 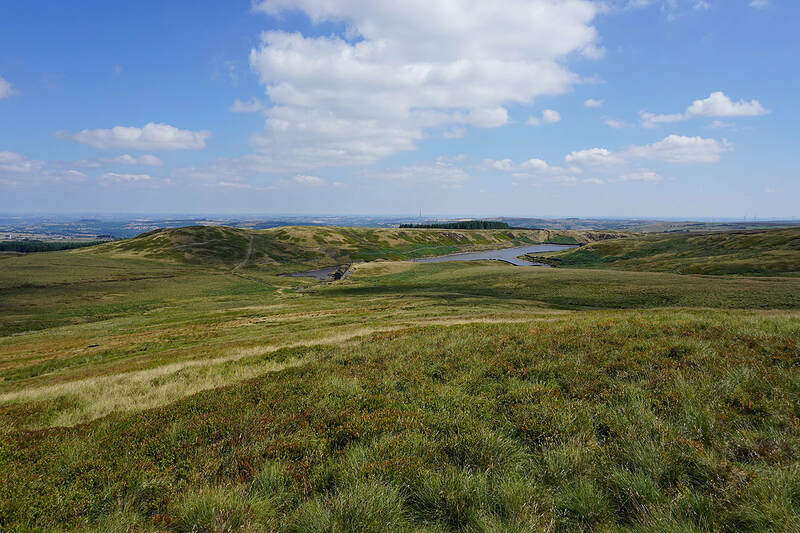 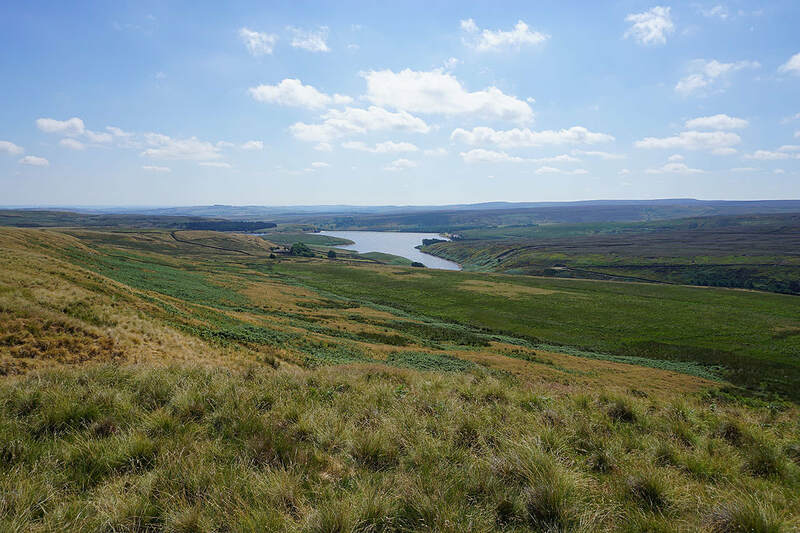 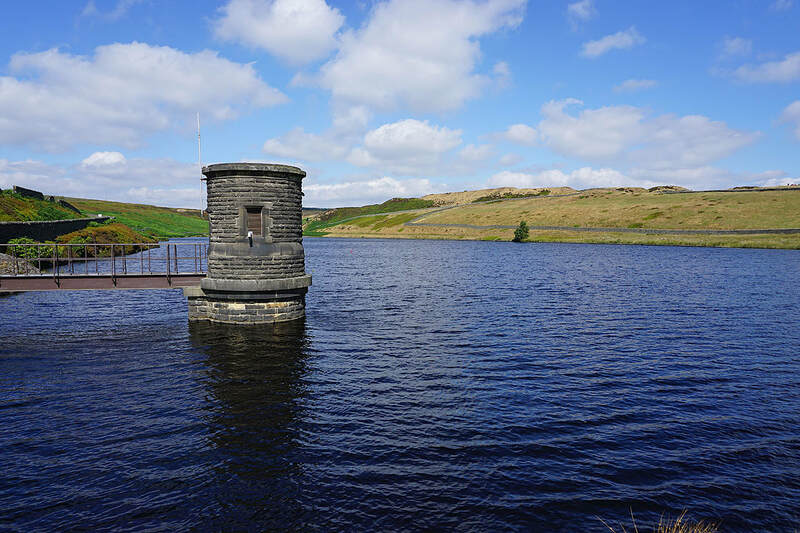 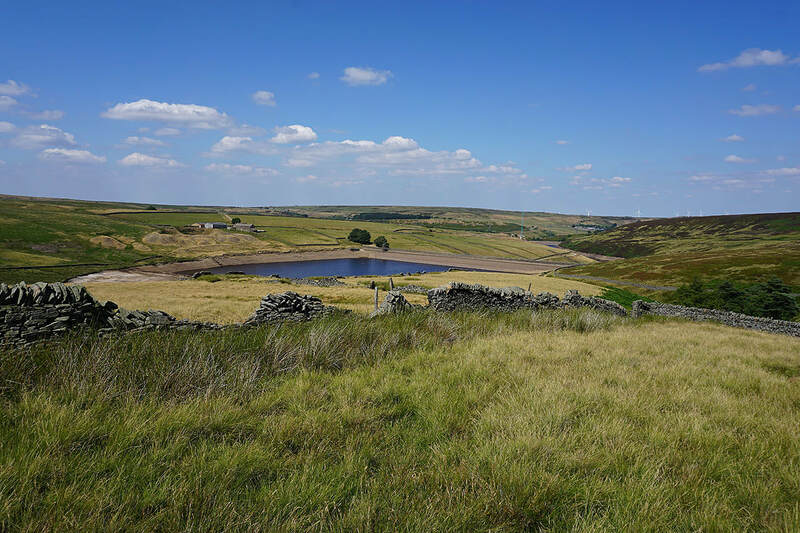 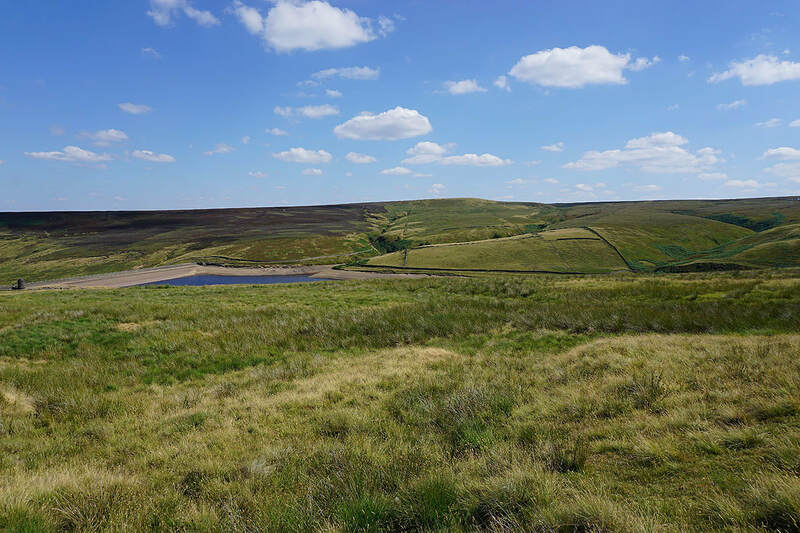 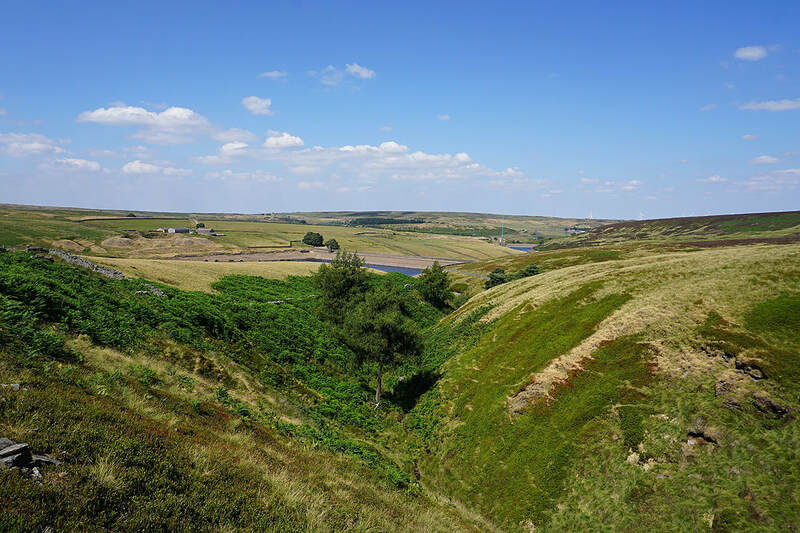 Upper and Lower Windleden Reservoirs and Winscar Reservoir as I follow the bridleway down Woodland Clough..